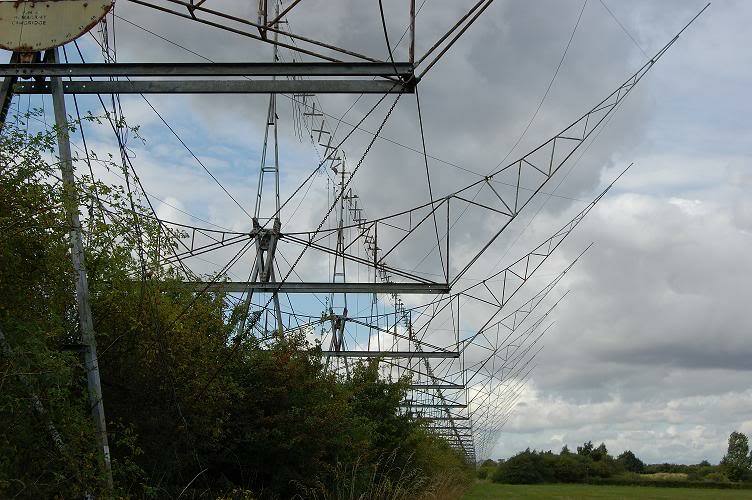 A few pictures of the derelict radio telescopes at Lords Bridge (cavendish laboratories). 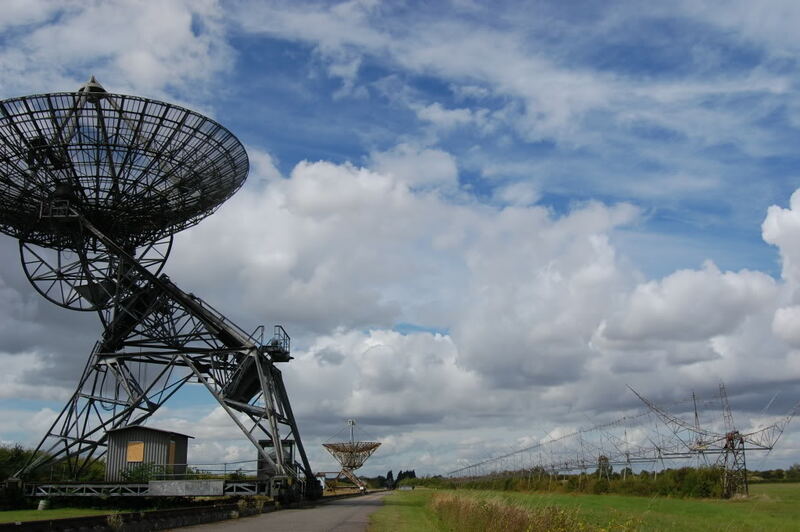 In the 1950's it became home to the Mullard Radio Astronomy with the erection of the '4c' telescope array. Various equipments have since been installed and many are still operational. 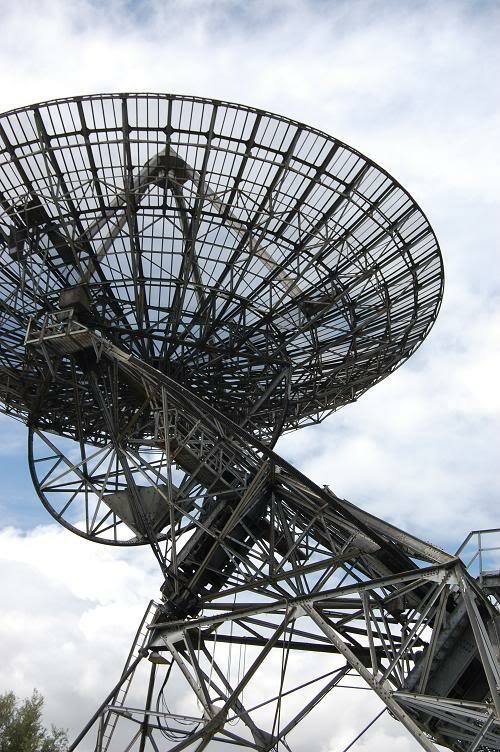 In the foreground is one of three dishes for the one-Mile telescope array, one of which is still partly operational, if infrequently used. To the right is the derelict tangle that forms the stationary component of the '4C' (IIRC 1957?). 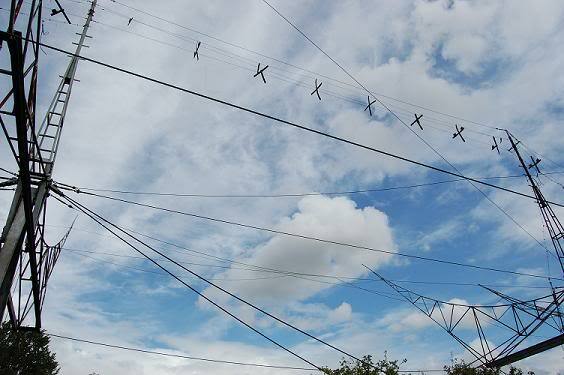 The rest of the array is 1/2 mile West and mostly stripped. The tangle mass of the 4c telescope. 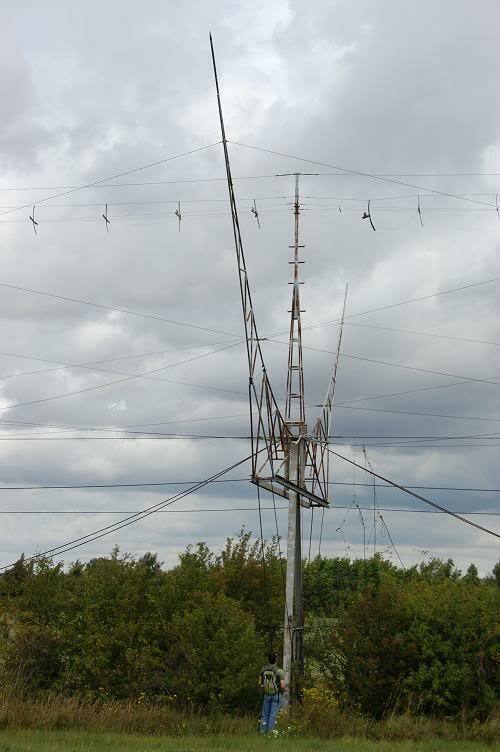 Operating at 178 mhz, it carried out the first detailed mapping program of the night sky. Report - Moreton in Marsh, Jan 2012.